A fictitious business name – sometimes called an assumed name or a DBA, short for "doing business as" – allows you to legally do business as a particular name at minimal cost and without having to create an entirely new business entity. You can accept payments, advertise and otherwise present yourself under that name. In fact, it can be considered fraud if you present your business under a name other than your proper legal name without proper notification. Fortunately, there's really not much excuse for not filing an assumed business name because it's so easy and inexpensive. Do You Have to File an Assumed Name? A DBA allows a sole proprietor to use a business name other than his personal name. You can use either your full name or part of your name, plus a description of your product or service, without filing an assumed name in some jurisdictions. You might do business as Elena Garza Interior Design or J. Washington Investigations. The exact rules vary from state to state so check with your local business regulatory authority. If the name implies that more than one owner or individual is involved – for example, Shawad & Sons or The Anderson Group – or if you just want to use your first name, such as Joe's Garage or Sam's Boat Rentals, you must typically file an assumed name. What Does an Assumed Name Let You Do? An assumed name lets you use a typical business name without creating a formal legal entity such as a corporation, partnership or LLC. You can even open a business checking account and get a business phone listing for your chosen name. This is the least expensive way to legally do business under a business name for sole proprietors. An assumed name also allows a single legal entity such as a corporation or LLC to operate multiple businesses without creating a new legal entity for each business. For example, you might set up a corporation with a generic name like LVH Web Enterprises, Inc. or Neighborhood Bars, LLC, then file an assumed name for each website or bar if you're planning to operate a series or chain of them. There's typically some significant expense in filing and maintaining a corporation, so this helps control costs while still allowing you to expand your business. You can sometimes register your assumed name with the Secretary of State or another state agency, but registration is handled at the county level in most states. Each county may have different forms and fees for registering a name. The process is usually fairly simple: You perform a search through the provided database to make sure the name is not already in use, then you can submit a simple form along with the correct filing fee, which is usually between $25 and $100 as of 2017. Some states also require that you publish a notice in your local newspaper and submit an affidavit to show that you have fulfilled the publication requirement. Call your county clerk's office to find out what the local fees and procedures are in your area. Proper use of a fictitious business name can be a powerful branding tool at minimal cost. 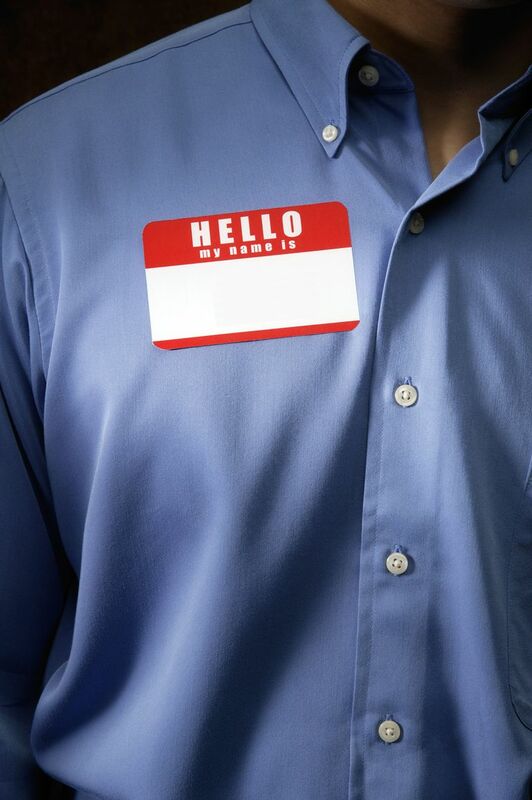 Take advantage of it: Pick a great business name and use it at every opportunity.